Many teachers have to face the challenge of teaching multiple preps in a given year at some point during their career. For example, a high school social studies teacher could be assigned to teach two classes of basic level Economics, one class of American History, and two classes American Government. An elective or specials teacher in art or music can be assigned several different grade levels in one day. For each prep, a teacher needs to develop a set of lesson plans. Multiple preps require multiple lesson plans. In many schools, a number of preps are given to the new teachers who may not receive their first choice of course assignments. Other disciplines such as world languages may offer several singleton courses, such as a German I course. For other departments, there may be specialized courses with only one section such as AP Physics. Multiple preps may be the best way to meet the needs of students. A teacher with multiple preps in a school year should consider some of the following suggestions. Summarize daily instruction by class on a post-it note. Place the post-it into a daily agenda or planning book. These post-it notes record the topics that were covered in class and remind the teacher what still needs to be done. Provide designated areas that are clearly labeled for students to turn in or pick up work by course or class. Making students responsible for materials contributes to their independence. Set up crates or files that can hold student work and materials by course or class. Use color coding to keep student work separated by class or course. Color-coded file folders, agendas, or notebooks are visual cues that help keep student work separated. There are multiple software platforms to help organize classrooms digitally, for example, Google Classroom, Edmodo, Seesaw, Socrative. Teachers can adjust the use of these platforms according to the amount of technology integration available in a school, even if there is limited access to computers. 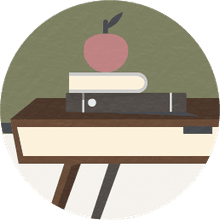 These educational software platforms allow teachers to customize class syllabi, post course assignments and collect student work. Some of these educational platforms can integrate grading platforms as well, saving time and streamlining feedback to students. Digital resources can be linked as well which can expand the materials available. Another possibility is to share digital resources or classroom materials with another teacher who may be teaching the same prep. Software platforms can easily separate students by class or course, so there is no confusion as to which teacher is responsible for students. The best resource for multiple preps could be another teacher in the building who may be teaching the same prep or who has already taught a specific course. Most teachers are more than happy to help out in these situations and share materials. Shared materials can reduce the time required in lesson planning. There are also many sites teachers can go to get lesson ideas that complement existing curriculum. Teachers can begin with provided textbooks and then add supplementary material from educational websites as necessary, provided the materials meet the standards and objectives of the course. There may be ideas for a class that can be modified for different preps or differentiated for students. Look outside the building or even outside the school district by using social media connections such as Pinterest, Facebook, or Twitter. For example, there are thousands of teachers that use Twitter to meet for chats on their discipline according to a set schedule. Collaborating with these online colleagues can be excellent professional development. One of these teachers may have already created something that is perfect for a course. Connecting with teachers, especially if the course is a singleton or the only course offered in a school, can also help reduce feelings of isolation. In the same way that you want to vary the activities across the day, teachers should schedule lessons for easy management. For example, teachers should plan lessons that require time in the media center on the same day. In the same way, if equipment (video, laptops, polling clickers, etc) is available on specific days, then lessons should be organized to take advantage of the equipment in each class. This kind of organization is especially true if the equipment takes time to set up and take down. Teacher burnout is real. Teaching can be quite stressful with all of the pressures and responsibilities placed on teachers, and multiple preps add on to the already long list of factors that cause teacher stress. Check out 10 ways to manage teacher burnout for some great ideas. It is definitely possible to survive and thrive teaching multiple preps. All it requires is staying organized, keeping a positive attitude, and maintaining connections with other teachers.